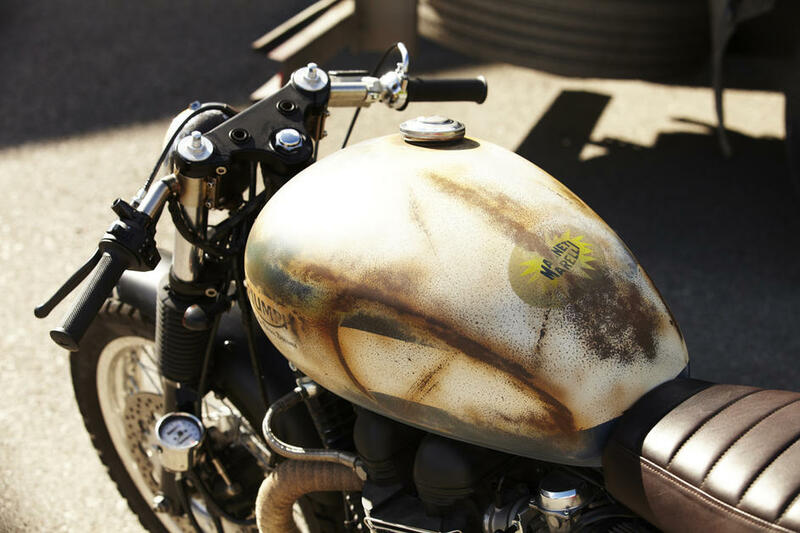 It seems that the name of CRD20 Cafe Racer has nothing to do with its aesthetic that seems rusty, old, worn and in very bad condition, this is actually the result of an impeccable paint job. 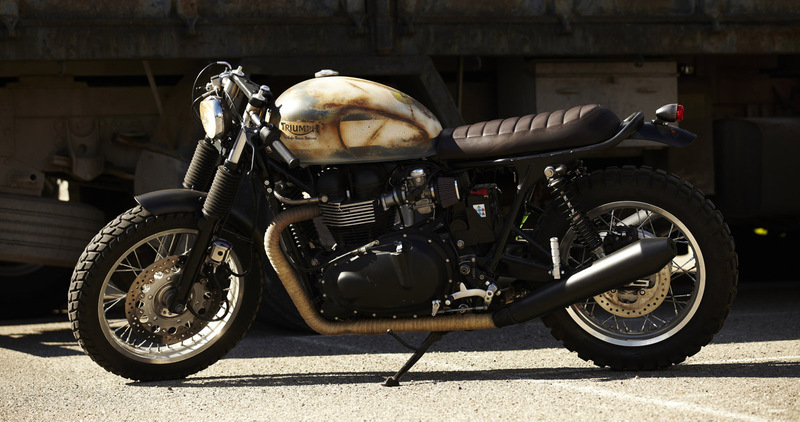 This Triumph Thruxton is commissioned by our friend, the well-known photographer Rafa Gallar. It looks like it is more than 60 years old but with new ‘guts’, handcrafted semimanillars, a tank design that is based on an old MV Augusta tank, K & N air filters, Off Road tires and a handmade seat made of leather natural with unique color. The contact key is inserted in the subchassis with a car boot (clausor), and a subchassis trimmed and redrawn by Cafe Racer Dreams. One of the highlights of the CRD20 is the relocation of the odometert, which is next to the left bottle of the fork. 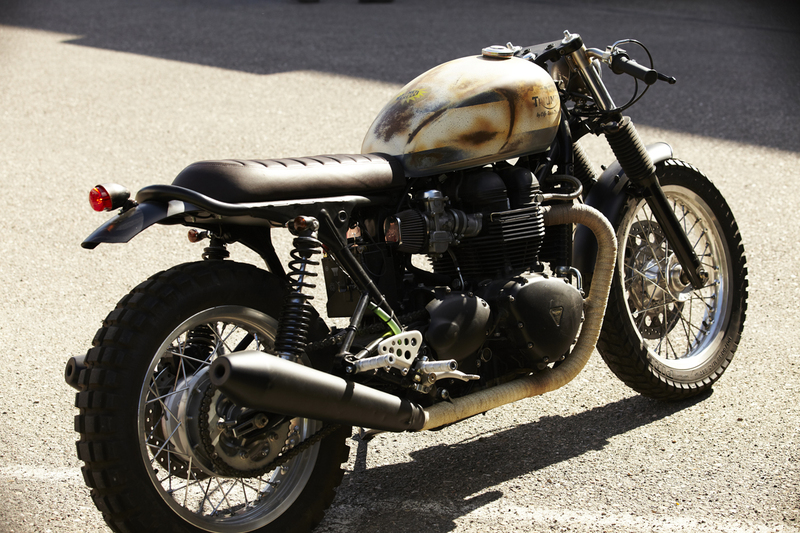 The rest, as you can imagine, follows the usual motto of Cafe Racer Dreams: Less is More. Simplification of the electric, hidden battery, hollow under the free seat, etc.